Scott wanted to feel better before he turned 40. So he lost 14kg! The main reason behind starting my weight loss journey was the fact that in early next year I will be turning 40 and recently I had noticed that the day to day things I used to do with ease where becoming harder and harder. I wasn’t sleeping as well as I used to and I just generally felt tired and lethargic. I had crept up to around the 113kg mark And so I decided it was time to make a change. My biggest roadblock was my working life. Just finding time to create and stick to a routine was very had with work, I did try to lose weight around 18 months go with just a diet change and training but lost interest mainly due to work commitments. 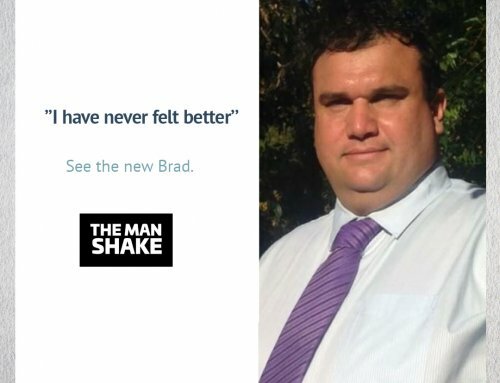 So when I saw a work colleague had started using The Man Shakes and was getting some good results so I decided to give them a go. Since starting The Man Shake I have lost a total of 14.2kgs in an eight-week time frame. Losing the weight has made a massive difference. Much more energy I feel more switched on in my body and mind. I’m sleeping a lot better and just really look forward to taking on the day especially doing my exercise in the afternoon and I won’t lie the comments from friends and family on how good I’m looking puts a spring in my step. 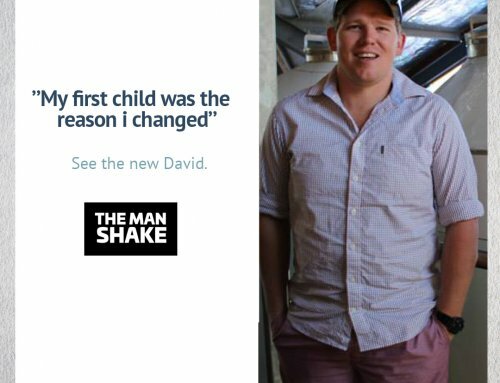 The Man Shake was so convenient to prep my day to day diet and I have to say I never felt hungry (and I was a big eater) or like I wasn’t getting enough to get me through the day. 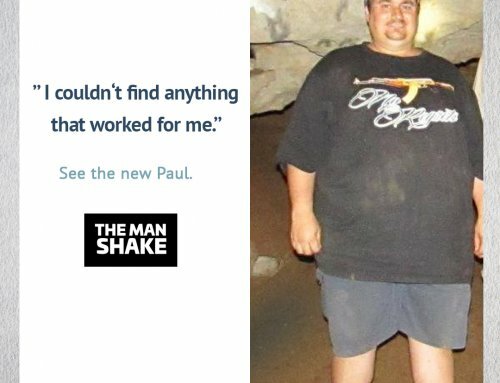 I would recommend the Man Shake because it works!! As mentioned I never felt hungry and the flavours are great my favourite is the caramel and the convenience for me was the biggest win. It just made things so easy to plan out for meals through week even with a busy work routine which involves a lot of travel that I oversee Dealerships in Tweed, Lismore, and Ballina. I also love the fact that after being strict through the week I could still enjoy a cheat meal and a couple of beers on either Saturday or Sunday. My partner has been on the Lady Shakes for around four weeks and has lost about 4kgs we both love the product. David’s first child showed up and he knew he had to change. Brad had enough and made the changes to drop 35kg! 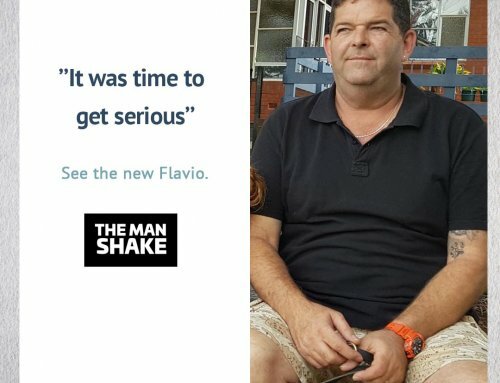 Flavio lost 19kg after the doctor told him he had to change. 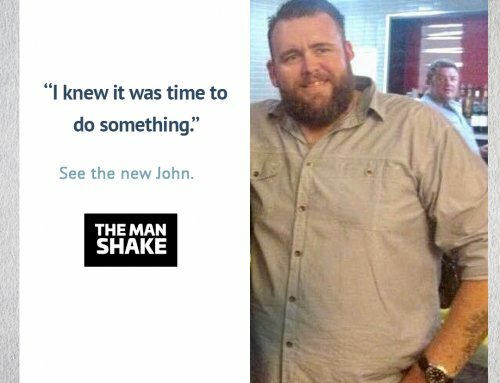 John knew it was time to change and lost 45kg!